It took a little bit for Microsoft’s Xbox Game Pass to take off, but once the company introduced day-one releases like Sea of Thieves and Forza Horizon 4 to the service, fans were hooked. For ten bucks a month (with an intro period to start for newcomers), they can enjoy over a hundred different titles at their fingertips. And that’s a value that several analysts feel will lead to big success in the future. 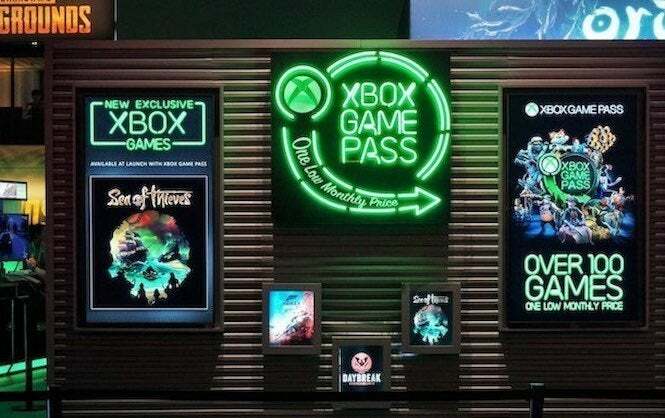 Onmsft recently posted a story discussing how several of these analysts feel that the Xbox Game Pass service will be one of Microsoft’s biggest draws over the next few years, providing value and convenience for those that can’t build up a big game library right away. The launch of the program has given Microsoft a much-needed 44 percent boost in gaming revenue annually, and is likely to continue to be a huge draw leading into this holiday season and 2019, especially with games like Crackdown 3 and others on the horizon. The report notes, “Microsoft’s Xbox One hardware hasn’t been flying off the shelves in any noticeable way as of late thus isolating the gains in Xbox revenue to software related initiatives such as an increase in Xbox Live and Game Pass subscribers. For that matter, another on-demand service that’s flourishing on the Xbox platform is EA Access, which is doing well in its own right between its downloadable games in The Vault (which includes recent additions like Dante’s Inferno and Burnout Paradise Remastered) and trials of upcoming games like Battlefield V.
A report from the Motley Fool page suggests that even though EA is looking into a cloud-gaming based platform for the future, its EA Access is doing well enough with a slight increase in users year-over-year (15 percent according to the last report) that it’s not likely to go away either. That makes the Xbox One the leading platform when it comes to on-demand games. There was no word in the report about Sony’s PlayStation Now, which offers more of a cloud-based service for players without needing hard drive space. But it feels like gamers prefer something more physical on their system, without the immediate need of an Internet connection. The Xbox Game Pass service is available now for Xbox One and Xbox One X, and we could be seeing a Windows PC variation announced sometime this month.